Experience the joy of having the appeal and realism of a tattoo but for just 2 weeks! The temporary tattoo is drawn using Jagua - an organic fruit-based ink - and stains the skin a beautiful tattoo-blue colour. Over at Henndrawn, we provide a safe playground for you to test out all your dream tattoos before you go for the real deal, at a fraction of the price. Try out how your favourite designs would look on your very own skin today! Jagua ink is an organic ink that is made from fruit called the Jagua fruit, or namely Genipa Americana. The gel that we use is made from the highest quality organic ingredients, directly imported from South America. When applied to the skin, the gel deposits a blue-black stain on your skin that can last 1-3 weeks. 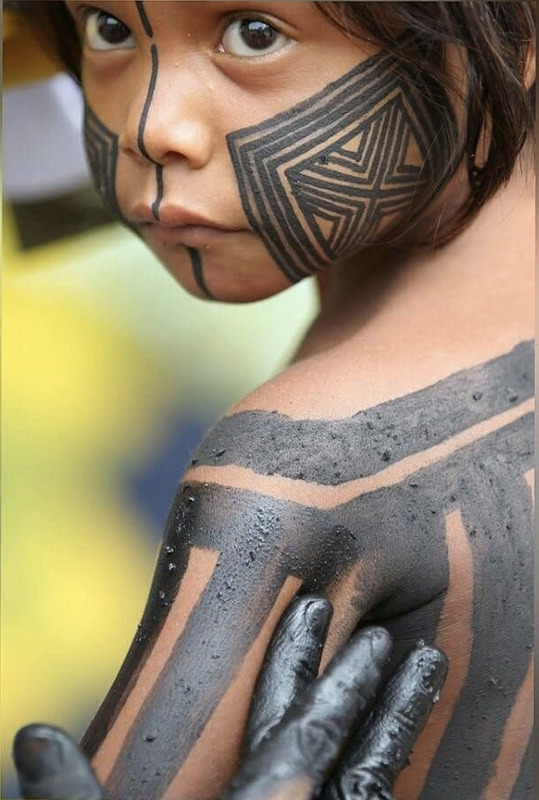 Unlike permanent tattoo ink which inserts pigment underneath your skin, Jagua ink is often used by South American tribes as a natural means of skin decoration and for other medicinal purposes. The gel that we use contains ingredients such as Organic Genipa Americana Fruit Juice, Organic Xanthan Gum, and Organic Lavandula Angustifolia Oil. **Do note that Jagua ink contains concentrated fruit juice, thus we do not tattoo on individuals who are allergic to tropical fruits (especially berries), ingredients listed above, nor would we tattoo on skin surfaces that are broken, infected, has eczema etc. Feel free to contact us personally for a patch test if you suspect that you might be allergic to Jagua.